IoT is a network of devices or objects containing embedded technologies, enabling them to communicate and connect with one another. The connectivity between physical devices can take place just about anywhere and includes every type of appliance at home or office and devices connected to the web or another device in different ways. These devices include smart gadgets that are accessible and controllable from a remote locale. This offers advantages for a wide number of industries. Internet of Things is popular because of ease of use and convenience offered. This ensures there is subsequent demand in apps for devices including monitoring systems for SMB, enterprises, computing, navigation and a whole lot more. IoT has fostered and advanced innovation with the capability to take on any device or gadget at home or office running on electricity controlled by present technology. IoT is emerging at a super fast pace and has impacted a number of life and work areas. IoT has many practical applications across numerous industries. This includes healthcare, agriculture, and energy. It is becoming prominent in everyday life with the evolution of technologies like smart retail and wearables. IoT has entered the market at just the right time. With the trend of connecting devices and appliances online and using smartphones to monitor and control devices, mobile app development is increasingly being influenced by IoT. The age at which simplification and ease of use rules business decisions is the key. IoT offers the ability to connect devices to smartphones and permit complete control over features provided by various gadgets and machines. Using the devices via the internet means apps issue push notifications to the phone permitting control over systems throughout. IoT is set to bring about a brand new movement of app development, specifically IoT apps. These apps combine several components such as connected devices, sensors, networking, cloud, and analytics. These components offer myriad permutations and combinations allowing further creation of brand new applications, serving a unique purpose. Clients are onboard with the concept of inter-connectedness and keen to see how it can be leveraged to make lives easier. Enterprises want to explore IoT because of the promise it holds for them. Further, IoT can help apps improve defense barriers by ensuring the physical devices are the first point of entry. Enterprises are gaining many benefits from IoT. Companies can connect all their electronic gadgets and devices within the business environment. These can simplify work processes for employees and enhance overall employee productivity. Enterprises as well as large organizations have built robust mobile ecosystems and are now exploring means to provide support for wearable technologies as well. App developers are also making software for supporting such devices. IoT is influencing app development in many ways. One of these is the availability of IoT platforms and the other is the prevalence of custom apps. Customized apps require a lot of time and effort. Using ready-made platforms can cut down on both of these. Enterprises can consider budget requirements and timelines before choosing a particular route to take. IoT is rapidly changing the mobile app development process. Smartphones have created a lasting revolution in their own ways. The exponential power of smartphones and other smart devices have spawned through interconnectedness. The impact of IoT on enterprises is important. It is easy to find out how IoT will fit into businesses, no matter what the size. Innovators have turned to IoT for developing the best mobile apps. By exploring the ubiquity of IoT, mobile app developers are finding a way to spur the industry’s growth. Huge cost reduction is yet another way IoT impacts mobile app development, apart from efficiency optimization as well. Making it easier for mobile phones to spread and connect to each other, the IoT has created huge market demand for an investment in mobile phone apps. Connectivity which forms the cornerstone of the IoT framework has enabled the world’s greatest developers to collaborate with each other. IoT has created hubs for innovative mobile app development. Building a massive mobile network generates a massive demand for mobile apps and is part of how IoT has spurred greater mobile app development. Harnessing the power of IoT, new features and functionalities have been possible in mobile app development. Without the IoT for building the foundation for the business, many companies could never have gotten off the ground. It is also easier to share favorite apps through IoT. The Internet of Things has also created a way to secure apps by protecting consumer identities and ensuring data encryption. Devices fostered by IoT creation and proliferation have been revolutionized with the development of mobile apps. As IoT develops, mobile app development is set to grow with it. 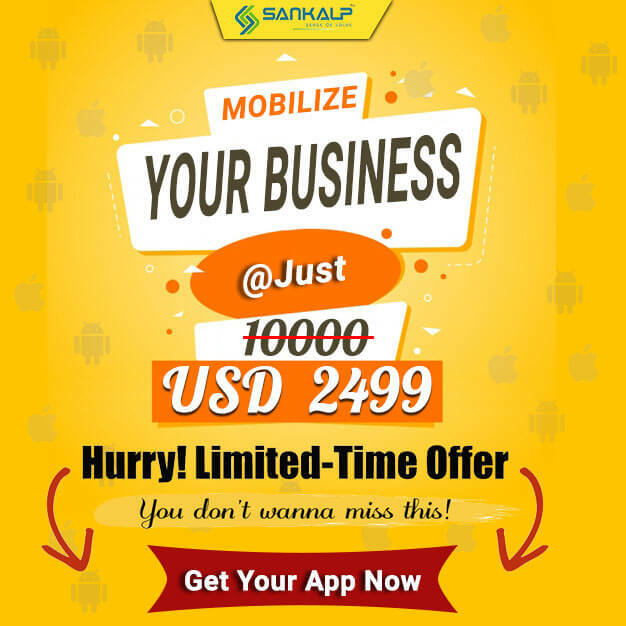 For exceptional mobile apps, look no further than Sankalp. 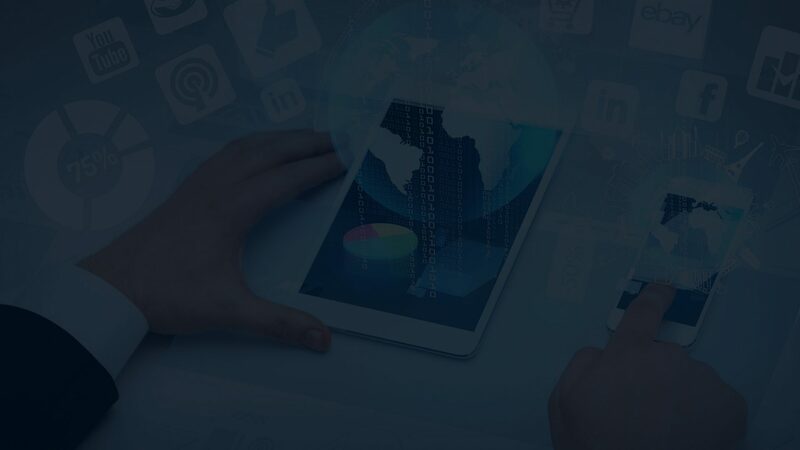 Robust yet flexible architecture and unique features and functionalities are some of the many benefits of opting for app development from this mobile app developer. Sankalp’s skilled app development team is the right choice for custom apps, hybrid apps, mobile apps, iOS or Android apps to name just a few. Learn more about Sankalp’s unique mobility solutions on Facebook, Twitter, LinkedIn or YouTube.